Considered to be one of the most beatiful butterflies in the World! 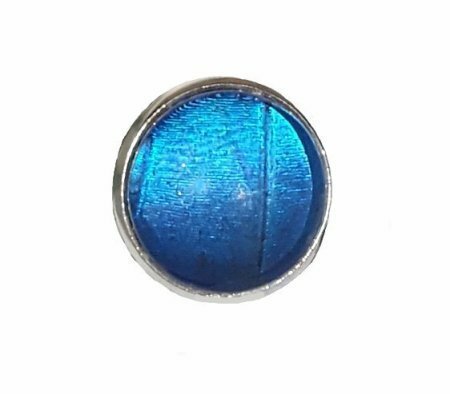 This Real Butterfly Wing Ring is Made from Giant Blue Morpho wing. 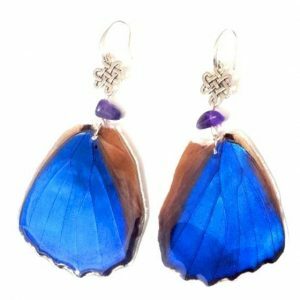 Real Butterfly Wing Jewelry, that is crafted with excellence. The wing is preserved in 14mm glass tile to ensure long lasting durability so that you can touch without worrying about damaging it. 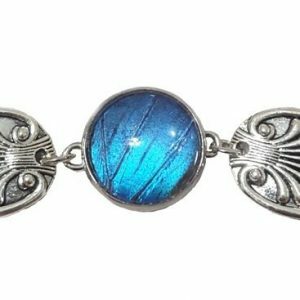 click here to find the most popular matching Bracelet. Butterfly died naturally after living a full life (about 3 weeks). 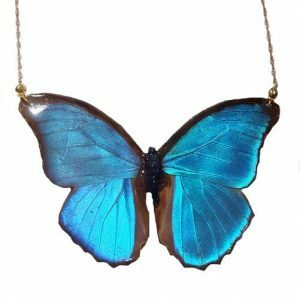 Purchases help preserve butterfly populations and rain-forest.